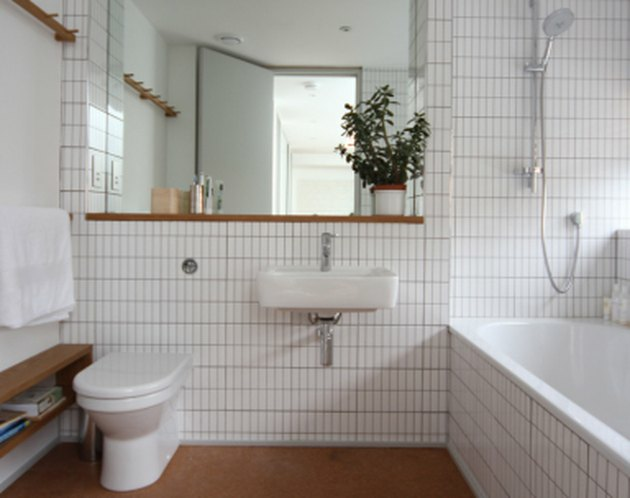 Considering a bathroom flooring redux? Well before you get started it's important to weigh all of your options. You aren't limited to ceramic, marble, wood, and concrete floors. 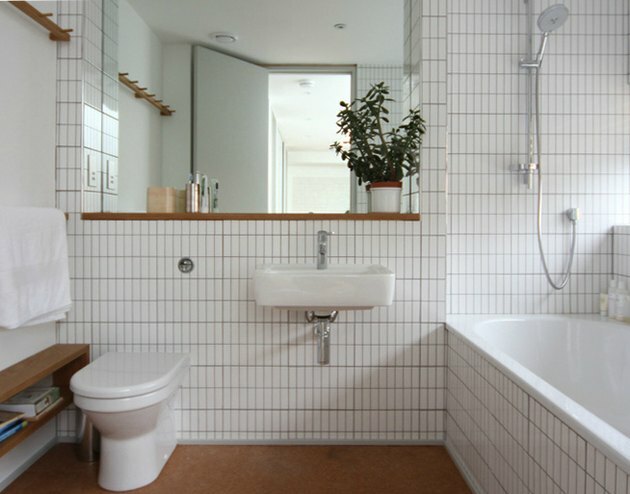 Cork bathroom flooring is often overlooked, but worth thinking about. Before you take the plunge, we'd advise doing some research. 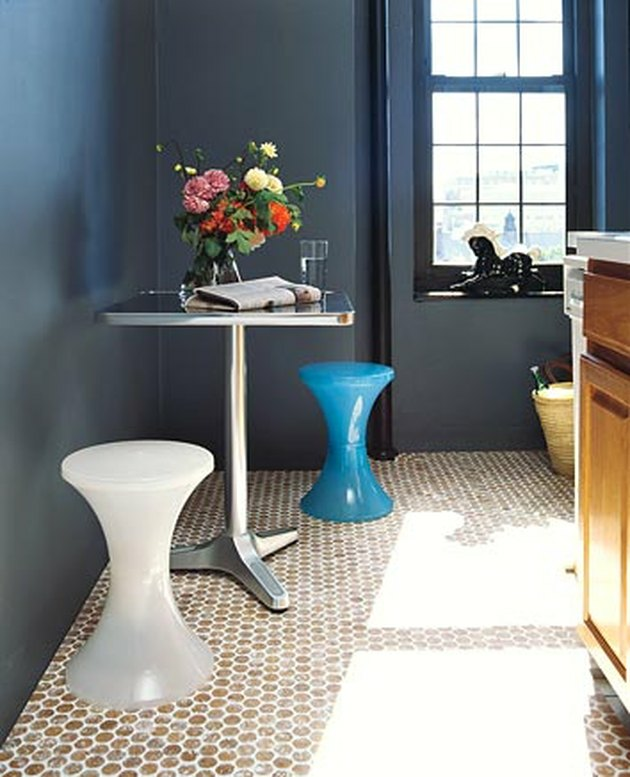 Scroll on to get the scoop on this interesting flooring choice. 1. It’s easy to install and replace. 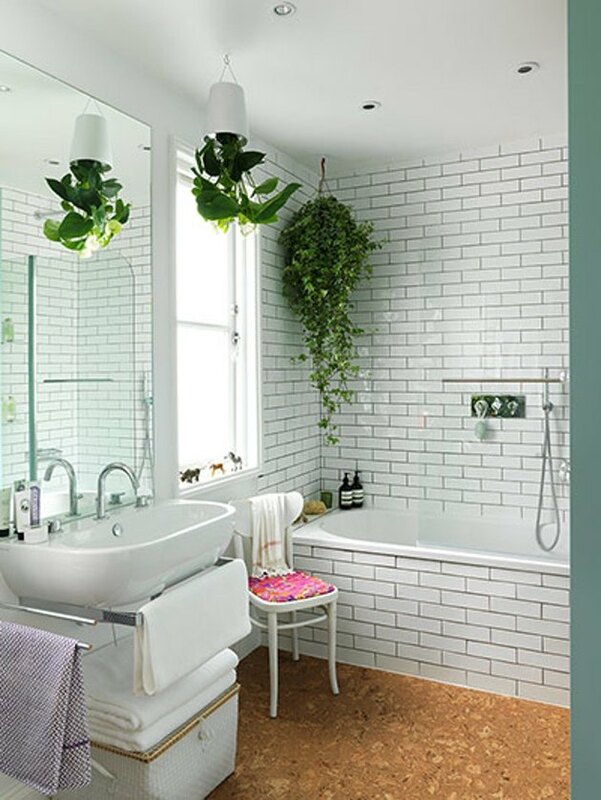 Like the look of textile designer Lulu Watts' cork bathroom flooring? Well you're in luck. 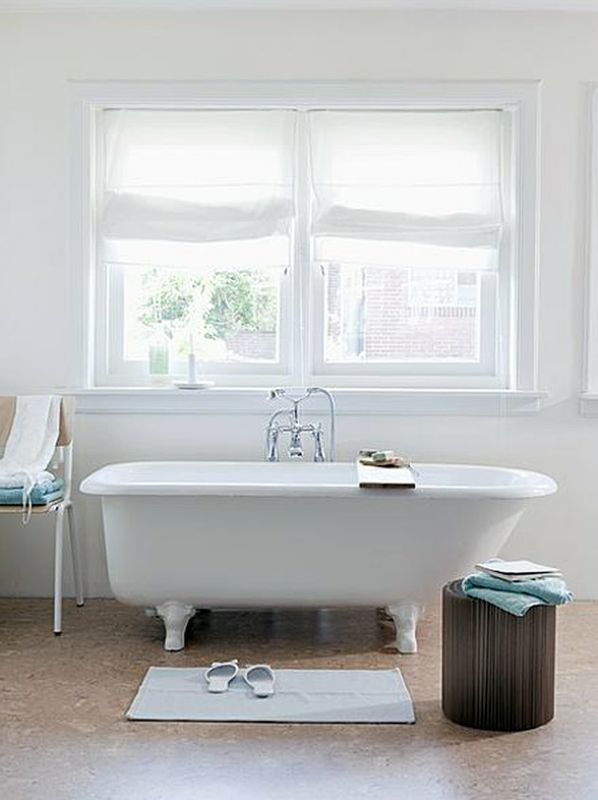 You don't have to completely renovate your bathroom to have new flooring. 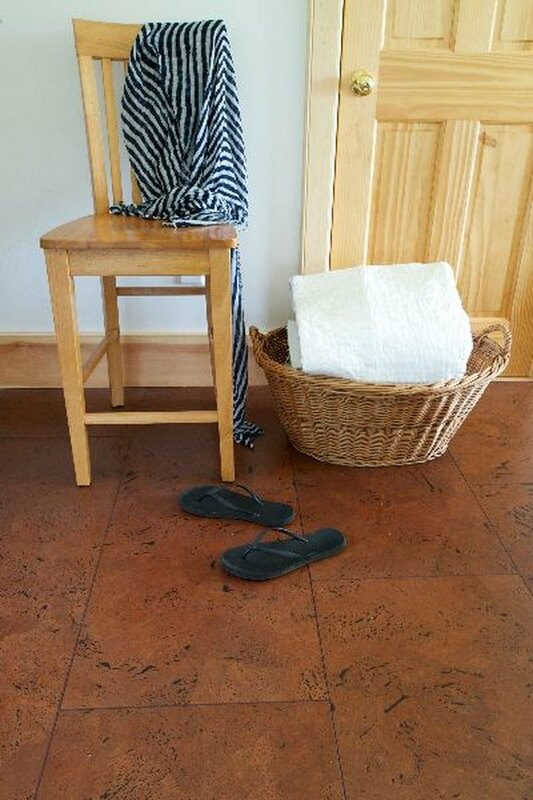 You can actually buy cork tiles that click-together, so they are easy to install and replace. Cork tile is widely available. But what you might not realize is the range of options at your fingertips — everything from this round penny tile mosaic from HabitusOutlet ( $7.99 ) to geometric octagonal tiles. A key drawback of cork bathroom flooring is that humid environments can sometimes cause complications. Over a prolonged period of time, steam can trigger floors to expand and contract. So this is an important factor to consider before you make your final decision. Endeavoring to go green? Add this minimalist bath designed by Linea Studio to your mood board. Cork — which comes from the shed bark of the cork oak, a medium-size, evergreen oak tree — is a renewable resource. Thus, it's an eco-friendly alternative to laminate flooring. 5. It won't irritate allergies. Allergy sufferers rejoice: According to AmCork, cork is resistant to mold, mildew, bacteria, and fungus. And in other good news, it doesn't absorb dust. Pretty awesome, right? 6. Water can cause warping. Another one of cork's shortcomings is its aversion to getting wet. Major spills and standing water can cause warping. 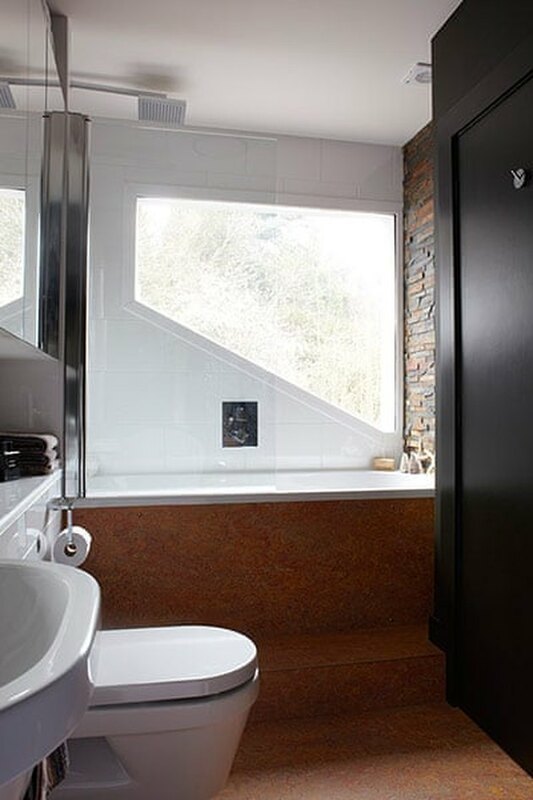 To help prevent ruining a beautiful floor like the one in this bathroom designed by Goodchild Interiors, you can add a polyurethane topcoat that will help to protect the floor. 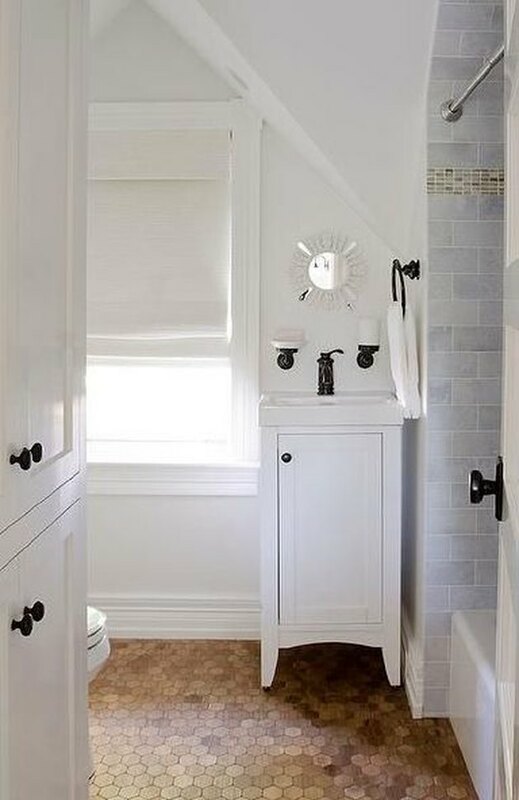 Area rugs or bath mats are also a good idea. 7. ... and loosen adhesive. The problem with cork tile arises when water penetrates the seams and loosens the adhesive. Not sure about you, but we've heard the phone ring and jumped out of the tub dripping wet on several occasions. So, that's something to think about as well.